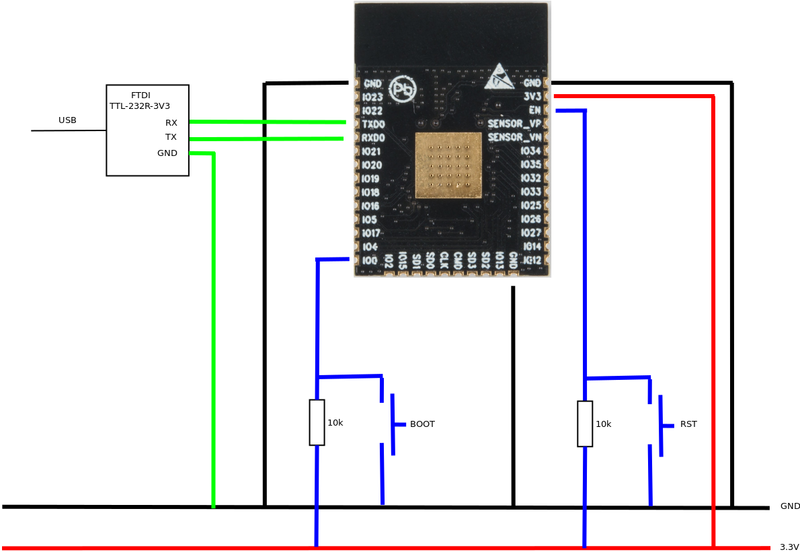 I found this schematics on esp32.com forum. I will add pull-up resistors on GPIO0 and EN as well as route them to the extension bus on the TCS. I also need to change pins so I use pin 34/35 as UART0. UARTS can be assigned to any GPIO pins, but in this case I need to know where it is after Reset and how we boot firmware on a clean system. As for the FTDI chip above – I apologize for this – You will NEVER see a FTDI chip on any of my designs!